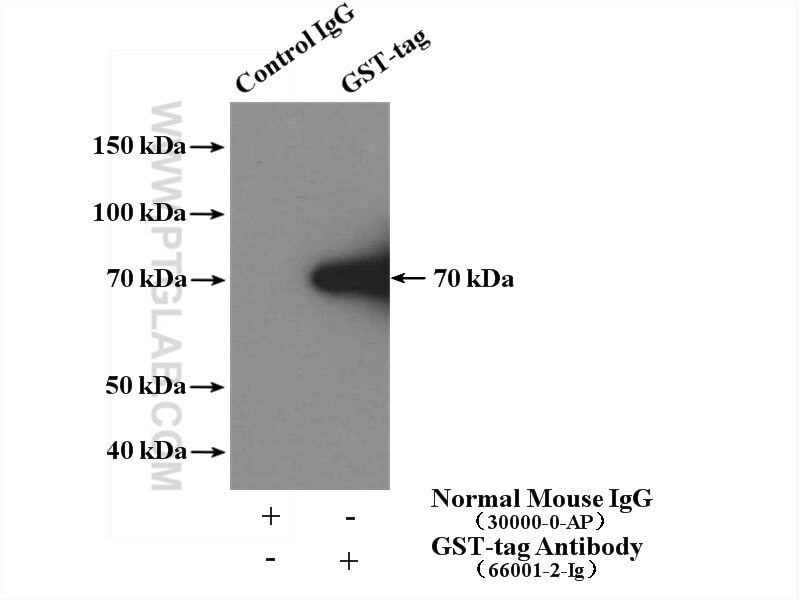 GST tagged recombinant protein (25ng/lane) was subjected to SDS-PAGE followed by western blot with anti-GST tag monoclonal antibody 66001-2-Ig at various dilutions. 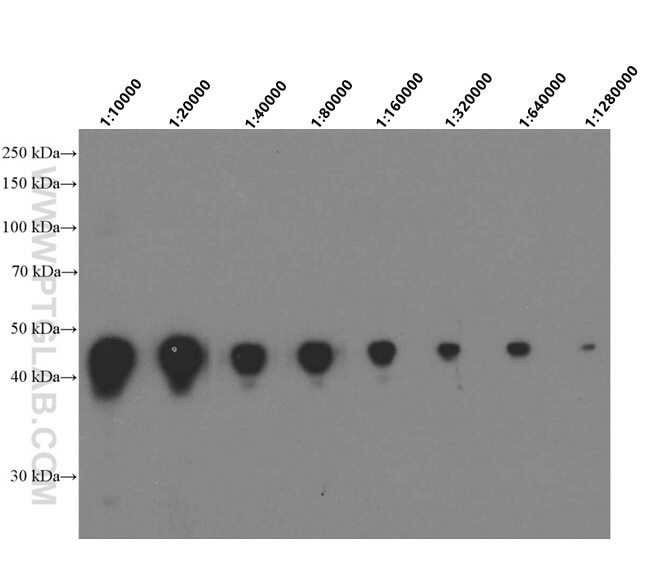 Characterization of a novel secretory spherical body protein in Babesia orientalis and Babesia orientalis-infected erythrocytes. The galectin LEC-5 is a novel binding partner for RAB-11.